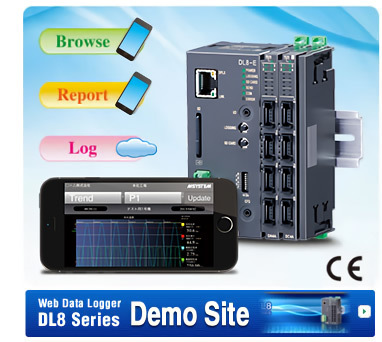 Four types of DL8 are available: Type A for ‘Browsing’ function with an internet browser; Type B added with ‘Reporting’ function by e-mails; Type C added with ‘Logging’ function with an SD card memory, and Type D with ‘I/O Mapping’ over Modbus/TCP network. ● M-System Company does not provide smart phones and/or telecommunication services. M-System's model DL8 is a remote terminal unit with basic web server function. 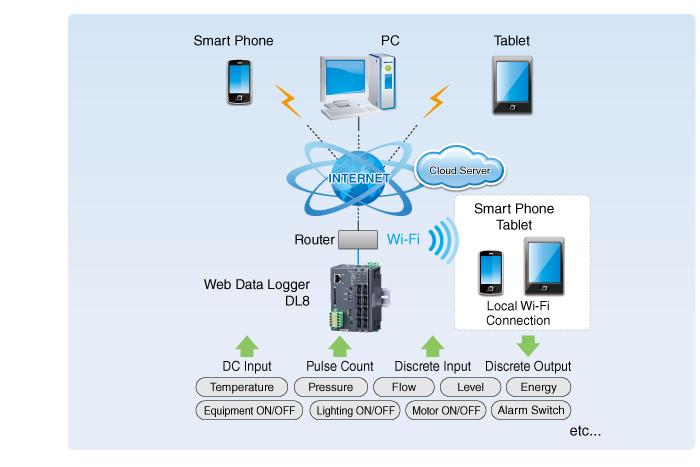 Various sensor signals are gathered from built-in I/O modules or remote I/Os connected through Ethernet Modbus/TCP, and monitored through Intranet or Internet using a web browser. 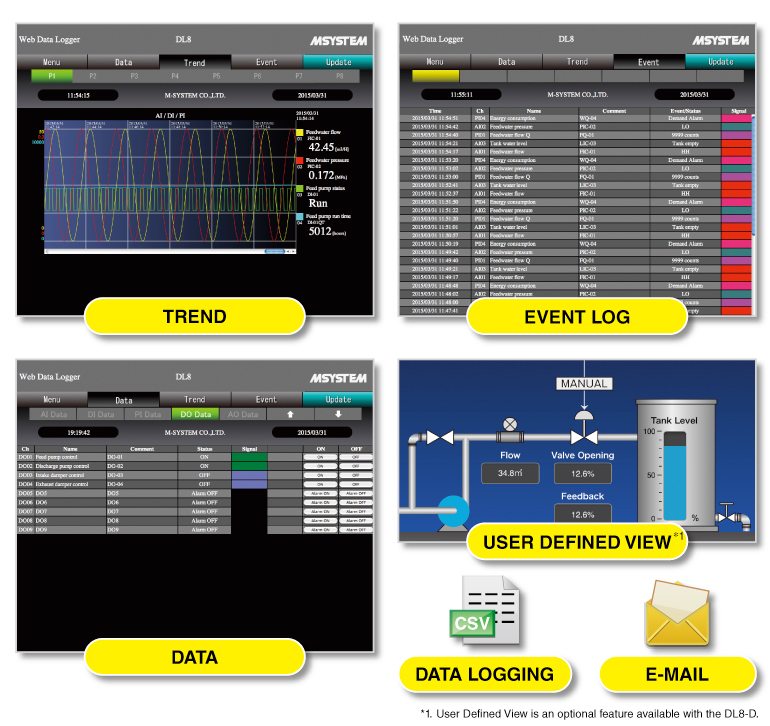 Users do not need any additional application program to view the data. User-friendly browser views are already installed: Data, Trend and Event Log views. Each one is basic but useful, designed for ease of browsing on a small screen of smart phones and tablets.